Interested in Southern Maryland Real Estate? Welcome to "Homes of Southern Maryland" - Michael Ryan’s premier real estate website serving all of Southern Maryland. Buying or selling a home is one of the most significant undertakings in your life. If you are about to embark on this journey, you will need access to local information that is current and accurate. You will also want a Realtor that is energetic, well respected, honest, and with a proven track record of success. You have come to the right place for both! Are you thinking of buying a home in the Southern Maryland area? Finding the right home can be a difficult process but no matter what you are looking for, as an experienced Southern Maryland real estate agent, I can provide you with the resources you need to make the home buying process simpler, from specific Calvert County, Charles County, or St. Mary's County neighborhood information, to tools to estimate your mortgage payments, and buyer resources and articles that will help you through the home buying process. Thinking about selling real estate in the Southern Maryland area? No matter which market you're in, you can use the marketing programs and experience of a qualified Southern Maryland real estate agent like me to help sell your home quickly and at the right price. Learn more about my service, see information about recent home sales in Calvert County, Charles County, or St. Mary's County, or contact me to get started today! Please contact me directly if you have any questions about the Southern Maryland real estate market, or buying or selling a home in Calvert County, Charles County, St. Mary's County, Southern Anne Arundel County, or Southern Prince George's County. "I would absolutely refer Michael Ryan to anyone I know who is seriously trying to sell their house. Michael was very professional in terms of handling the business aspect of the sale, and at the same time, very personable when it came to making me feel I could trust him completely to have my best interests at heart regarding the sale of my home." "I would definitely recommend Mike to all of my friends and family. I think the thing I appreciated most was that Mike would take the time to totally analyze the situations as things arose and was ready to respond with different suggestions. He was easy to contact as well and always had a positive attitude. He made us feel so important that we felt as if we were his only customers--knowing full well that we weren't." "Mike helped us get the 1st house we put a contract on and at the price we wanted! Amazing realtor!" "....Working with Mike makes the selling process seem less stressful. We trust him and know he has our best interest in mind. He keeps his clients informed and updated on the process and we have been extremely pleased with the way the sale is developing. Kudos on an excellent performance. 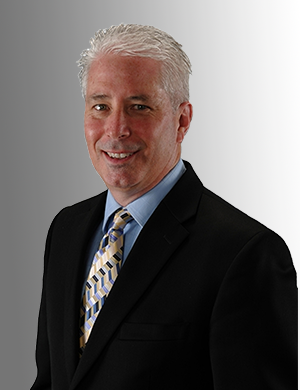 We would highly recommend Michael Ryan for your Real Estate needs!!!" "I thought you were an excellent real estate agent. I would gladly recommend you to anyone looking to buy house in Maryland. I thought you were honest, nice, funny, patient, responsive, and very in tune with the house that I wanted to get. Thanks again for all the help, we love the house!" "I was fortunate to have Mike Ryan as my Listing Agent. His professionalism and knowledge of the real estate market resulted in getting an offer on my property in one day. Everyone selling or buying a home should have an opportunity to have an agent of his caliber!"